As a friend of the Black Cat Society you will help us to care for unwanted cats whatever their colour and keep our special promise never to put a healthy cat to sleep. 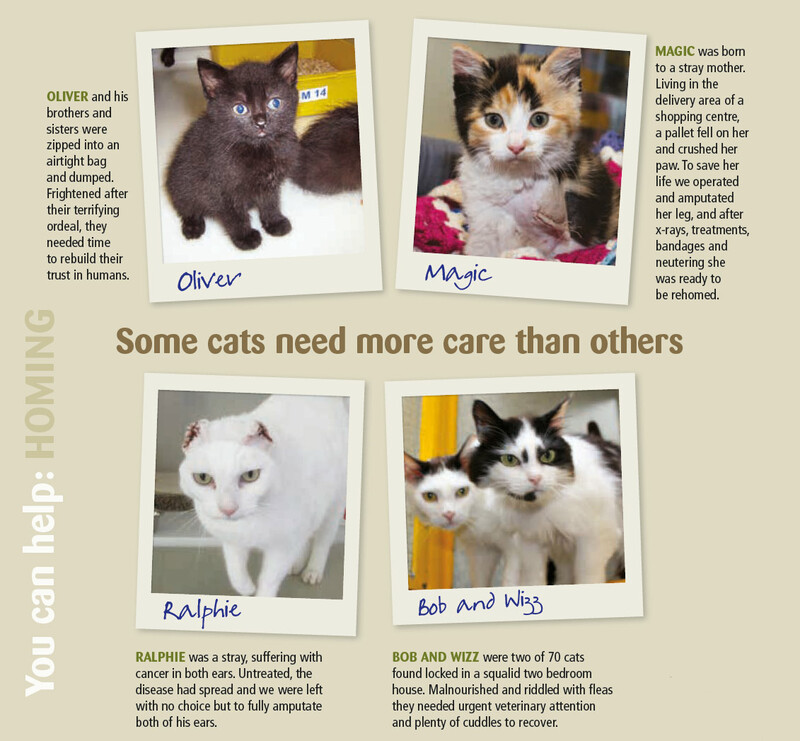 Cats Protection is the UK’s leading feline welfare charity, striving to ensure all cats are treated with kindness and an understanding of their needs. Providing this level of support and commitment to the UK’s cat population requires ongoing investment, which is only possible with support of our loyal friends. We are delighted to be introducing our Black Cat Society, an important new way for supporters like you to help Cats Protection make life better for thousands of unwanted, abandoned and uncared for cats that need our help. We already achieve so much but there is much more to do. Donations from friends of the Black Cat Society have a far reaching impact. They allow us to help on a bigger scale to improve the lives of cats now and ensure a brighter future for the cats of tomorrow. There are still far too many cats who don’t live in a loving home, or benefit from the special bond that brings with it. Some are abandoned... some are strays... some are given up because families simply can’t afford to look after them anymore. And too many – unforgivably – are maltreated. For all of these cats, Cats Protection needs to be there – to help find a good home for those who are abandoned or given up, and to look after those who are sick or in pain and on their own. To become a friend of the Black Cat Society requires a monthly donation of £100 which is paid via Direct Debit payments. This is the entry point for the Society which enables us to help many more cats on a bigger scale. In return for your incredible support, we will bring you closer to the important work you help to fund and, of course, the wonderful cats whose lives are touched with your extreme kindness. You will be able to experience first-hand the impact your donations are having with bespoke project updates, visits to our centres and opportunities to meet the cats! There are higher tiers available should you wish to donate at an increased level. Thank you so much for considering taking this wonderful and important step, in supporting many more cats.